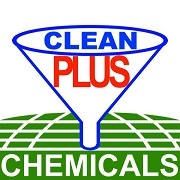 Clean Plus Chemical LTD.,Part was established in 2006 and has been growing to be a best choice for providing high quality cleaning chemical products, cost efficient services to make a great impression on customers. "High Quality Products, Customer Satisfication and Great Services" is our solution will pave the way for us to give various cleaning chemical products with high quality to our customers.Thus we intend to do the best services for customer satificaiton. We import the high quality cleaning chemical products to ensure its shall be safe for customer and environment. We have product quality is certified by Food and Drug Administratrion of Thailand,ISO9001, ISO14001 and Green Label (Product for environment). CleanPlus offer the cleaning chemical products to enhance the comfortable and efficiency, reduce the time and cost and durabiliy of uses. CleanPlus is a facilities of technical products, including the automatic machine which control by computer system to ensure its suit for your requirements. Automatic machine reduce the cost and avoid the unexpected conditions to ensure its are highly standard and friendly with environment. "Clean" is our priority to ensure that our products and service are highly respected by customer. Automatic Chemical Supply System is a program to supply chemical very precise. CleanPlus import the high quality products that continuous improvement process to help our customers to get cost reduction and time. © Clean Plus Chemicals. All rights reserved.